Hello all! 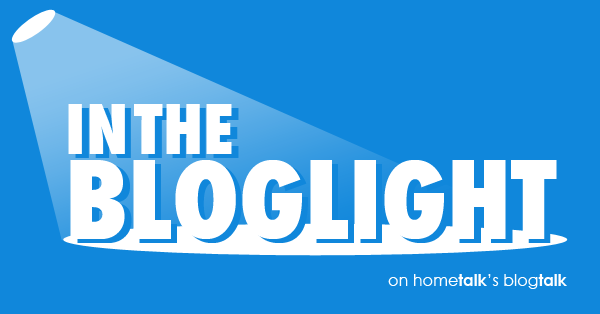 Today, I’m In The Bloglight with Hometalk! For those of you wondering what the heck that means, let me tell you! Hometalk is a fantastic website where you can share your home-related projects, ask your home-related questions, and get loads of decorating and project inspiration for your home. And you don’t have to be a blogger to upload and share your projects! So Miriam, the awesome Director of Community at Hometalk, sent over a few questions for me to answer. Here goes! I started blogging in March of 2007. At the time, I was building up my interior decorating business, Kristi Linauer Interiors, and I had heard that blogging was a good way to demonstrate expertise in your field and bring in potential clients. So I set up my free blog on Blogger, determined to share all of my interior decorating wisdom and expertise with people. I realized very quickly that writing posts about the how-to’s and rules of decorating wasn’t going to be that interesting. And writing in that authoritative voice made me come off as a bit prideful, like I was all-knowing. I certainly wasn’t, and I didn’t want to come across that way. I wanted to be down-to-earth and personable. So I floundered around for a while. I really wanted to blog. I loved the idea behind blogging, but I just couldn’t seem to find my place in the blogging world. I tried to emulate other blogs that I enjoyed at the time, like Design Sponge and Decor8. But that didn’t feel right, either. It just wasn’t “me”…so I struggled. I would blog for a while, then disappear for a month or two. Then I’d come back, determined to blog consistently, and then it would fizzle out again. After about three years of floundering, I finally found my voice…and learned a lot about myself along the way (more on that in a bit). So while I’ve been blogging for almost six years, it wasn’t until about 2 1/2 years ago that I felt like I really hit my stride in blogging and really fell in love with it. Is blogging something you do on the side, or is it a full-time job for you? What did/do you do for a living? I made the transition from “self-employed interior decorator who blogs on the side” to “full-time blogger” in the summer of 2011, and I guess officially, I’m still a full-time blogger. However, one year ago (in December 2011), I hired someone to move my blog from Blogger to WordPress, and once I was on WordPress, it was love at first…well…first post, I guess you’d say. I took to WordPress like a fish to water. So this year, I’ve learned that I love WordPress almost as much as I love interior decorating. But I can only do so much designing, redesigning, and code-tweaking on my own blog, so about five months ago, I started taking on WordPress work from other bloggers (Blogger to WordPress transfers, custom blog designs, etc.). Now that’s grown into quite a thriving side business. What was the first project you ever posted? 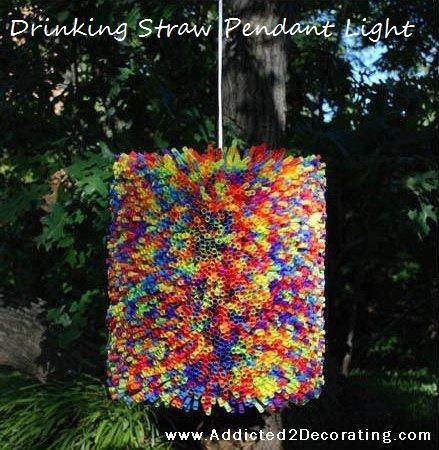 The very first project I ever made for my blog was a pendant light made out of colorful drinking straws. I originally posted it in July 2008. Like so many other projects I’ve done, it wasn’t a project that I did for my home (or a client’s home). It was just something that I envisioned, and I knew that my mind wouldn’t rest until I made it. 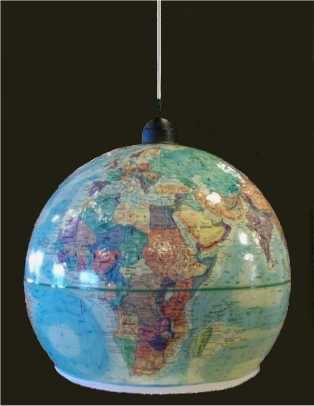 And I seem to have a thing for pendant lights, because two of the next three projects that I made for my blog were also pendant lights — one made of egg cartons, and the other made of a globe. Which project has brought you the most traffic to-date? Ha! There’s absolutely no question about it. 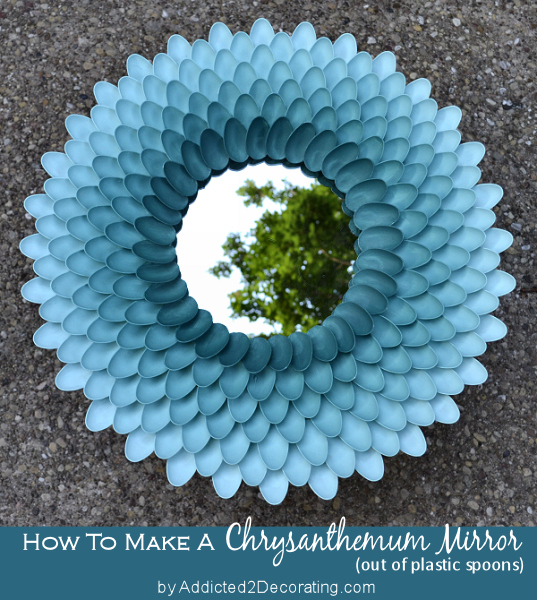 My most popular project ever has been my chrysanthemum mirror made out of plastic spoons. How has keeping a blog changed you? This probably sounds ridiculous, but my blog has been the tool that helped me “discover” myself, so to speak. Before I started blogging, I was taking on interior decorating clients, making pretty good money, and always dreaming of the day that I’d have those high-dollar clients who could and would spend tens of thousands of dollars on one room of their home. Well, I finally got to have a few of those clients, and interestingly, the work bored me. It wasn’t exciting anymore. It felt like…well…work. I actually got to where I dreaded it. I got tired of looking at rooms filled with brand new stuff that had no age, no history, and no story behind it. It was actually through the process of blogging that I discovered my love for shopping thrift stores, finding a diamond-in-the-rough, and having the immense pleasure of turning that diamond-in-the-rough into something truly special. I discovered my love (or more accurately, my preference) for doing things and making things myself rather than hiring people to do the painting, upholstering, and all of the other stuff that goes into decorating a room for a client…or for myself. I learned that I much preferred putting on a t-shirt and jeans and getting my hands dirty sanding down an old dresser, or wading through piles of junk in the back room of my favorite thrift store in search of that one special thing, rather than getting dressed up and meeting a client at a furniture store so we could look through catalogs and stacks of upholstery fabrics to pick out a room full of brand new furniture. I guess not everyone is cut out to live in (or decorate) rooms filled with tens of thousands of dollars worth of stuff. I’m sure not. It bores me. And I have blogging to thank for the fact that I now know that about myself. What are your favorite kinds of posts to read/write? My absolute favorite posts to read and write are room reveal posts. 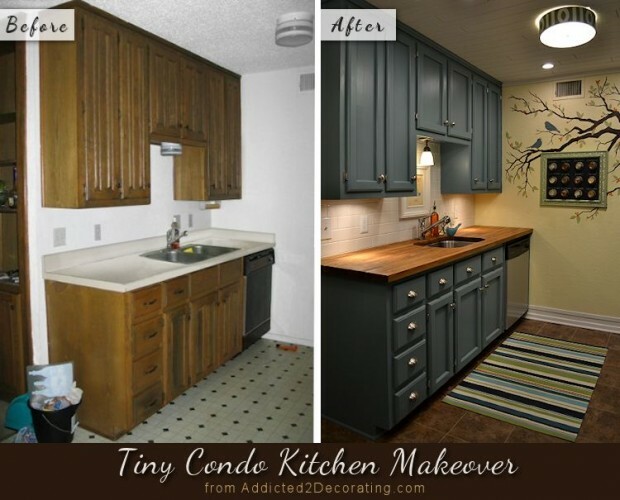 When it comes to really great blog posts, there’s nothing else that really compares in my mind to a reveal of a well-executed design plan in a post that has plenty of good before and after shots of the room. I got off to a really slow start this year on my own room makeovers, but in the last couple of months, I’ve finished my kitchen and my breakfast room…FINALLY!! But room reveals require a room makeover, which requires a lot of time and effort, and those are pretty difficult to crank out fast (at least, for me they are). So a close second would be DIY projects. I really love a well-written tutorial for a DIY project that includes large pictures of the step-by-step process. Even if it’s something that I already know how to do, or something I’ve already done myself, I’ll still enjoy a well-written tutorial, and I’ll take the time to look at every single picture if they’re large, quality pictures. What advice could you give to other bloggers that you wish you had known before you started blogging? 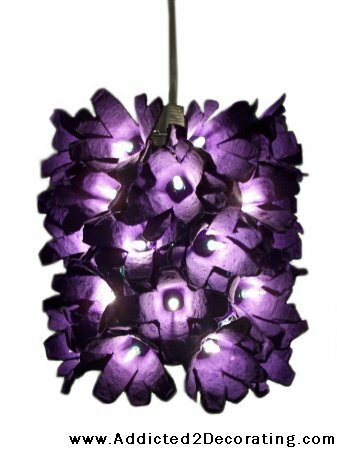 The DIY/home/decorating niche has become so saturated that a new blog really has to have something unique to offer in order to stand out. And what’s unique about you? You’re the only you there is. So use your unique voice, your unique home, your unique style, your unique experiences, your unique talents, and all of your other uniquenesses (is that a word?) to stand out. Don’t try to be someone else, don’t try to copy another blogger, and don’t try to fashion your blog after another blogger’s blog. That’s already been done. But what hasn’t been done yet in this saturated blog niche is that nobody has been YOU. 2. Bypass Blogger and start on WordPress. And if you’re already on Blogger, get on WordPress as soon as you can. I can’t stress this enough. Blogger is for hobby bloggers, but it’s no place for serious bloggers. And the longer you wait to move, the more busy work you’re creating for yourself when you finally do decide to move (which you will…eventually…if you’re serious about blogging). Going back through years and years of post, reorganizing, re-categorizing, re-uploading featured images, etc….it’s a headache that you can avoid (or minimize) if you just GET.THERE.NOW. 3. Don’t start a blog to make money. If money is your main motivation for blogging, you’ll burn out before you succeed. Blogging is probably one of the least effective ways to earn a living. I’m not saying it’s impossible. After all, I’m proof that it’s possible, and I could easily rattle off names of other DIY/decorating/home bloggers who are proof that it’s possible. But it takes a while to get there, so you absolutely have to LOVE what you’re blogging about. Blog because you love it, be consistent about it, offer high quality original content, and the rest will take care of itself. Thanks so much, Miriam and Hometalk, for my opportunity to be In The Bloglight! 🙂 It’s always fun and encouraging to look back over my years of blogging and reflect on my journey. Previous Post Let's See...Where Did I Leave Off? It was great to learn more about how you got started and see some of you first porjects. Those lights are all awesome Kristi! I’m kind of new to your blog so it was interesting to see ‘how it all began’ with you. That straw pendant is amazing and of course, the plastic spoon mirror is the best project I’ve ever seen on any blog! Thanks for the fun reading. Great post, Kristi! I started one month before you did and boy has it it been an exciting ride. I can’t wait to see what 2013 brings for all of us. Congrats on your success too! Another post filled with useful substance. I see you as someone who is flourishing rather than floundering, good thing that was only a phase. You’re a force to be reckoned with. GREAT READ! It’s so great learning more about you! You have a fantastic story! I love your honest, straightforward take on blogging. I’ve been a fan of your blog ever since I started blogging in January, as I simply love your content! Always unique and gorgeous! So excited that you’re in the Bloglight today – so everyone can see what I always knew – you’re a rock star! Every single one of your projects and rooms are amazing and of course you know WordPress like nobody’s business! Fun read, Kristi! And I’m so with you on the mystery of the infamous posts. The ones I think will fail succeed and visa versa. Maybe that’s the true formula after all?! Haha! So grateful to knock shoulders with you through HT! Your advice and expertise is so very much appreciated! I just love your style! It was so great getting to know you better and I’m with you on the t-shirt and jeans, nothing better than just getting in there and getting it done yourself! I love that you are the featured one today! I always read your comments and am in awe of your knowledge. It was fun reading more about you. Have a Very Merry Christmas!!! Love hearing your story Kristi-you’re one of my all time favorite bloggers and I’ve learned SO much from you over the past few years! Thanks for all that you do! LOVED reading about your blogging journey, Kristi! I read every word and would’ve kept right on reading if you hadn’t cut me short. Ha! 🙂 Great advice and inspiration! Enjoyed reading this post, Kristi and learning more about you! Congratulations! It’s been nice reading this and learning a bit more about you. I’ve been following you for a while and you have always been full of information and insight. Great post, thanks for the tips (most I’ve heard you say before) and I hope to use them very soon! Congratulations on being in the spotlight at Hometalk Kristie. I love your crafts and your room redos. Your breakfast room is just beautiful. I too enjoy the thrill of the hunt and go into withdrawal if I don’t get to do my junk shopping weekly! What a lovely post. I really enjoyed reading it and learning more about you and your blogging journey. Thank you for the valuable advice. P.S. I love, love, love your breakfast room. What a great “interview.” I love hearing how you “found” yourself. Isn’t it funny how something we dream about doesn’t always come around to satisfy? Glad you found your niche! And I’m grateful to be the be a beneficiary too!! I see you’ve been tweaking the blog again. It’s very easy to read…good for my late night eyes – LOL! I must say, of all the blogs I’ve seen, yours is the BEST. So many great ideas, and they’re all affordable and doable. Your instructions are great and the projects are what average people would love to have in their home – especially me! Great ideas. Thanks so much! Cool beans! Good on ya, Kristi! Hi Kristi, I enjoyed reading about your blogging journey and I’m thrilled to see you In the Bloglight. I have learned so much from you just from reading the threads on Blogtalk! Your skills in decorating, diy, and blogging are very impressive! Congrats! You always have something worth saying….and worth reading. 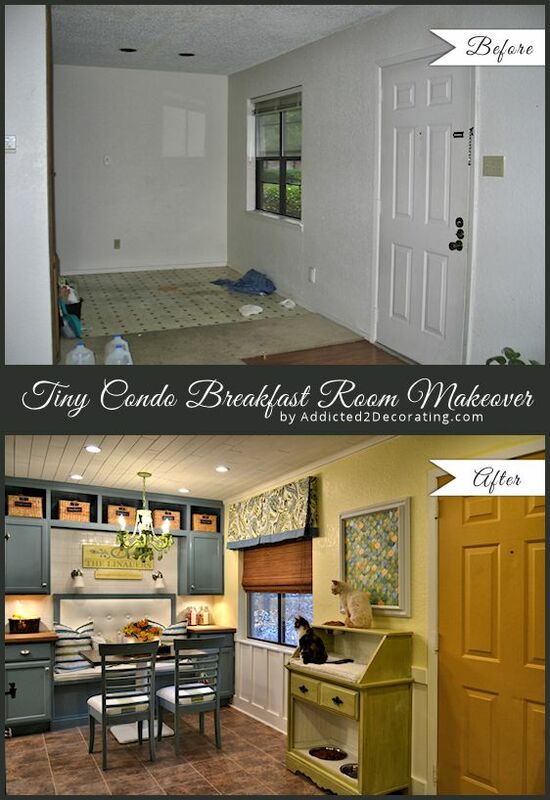 Your kitchen/breakfast room is a prize winner!! Love the look of your blog. WISH I could hire you to transform my blog, maybe someday! Kristi…so loved reading your story….and congrats on the Bloglight feature! !….I will be contacting you after the first of the year to have you do some WP transfer work….I heard you were the best! Merry Christmas! !